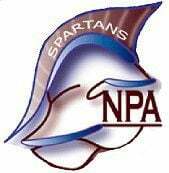 The Northland Prep girls track and field squad took first place with 176 points at the Mingus invite on Saturday in Cottonwood, while the Spartans boys placed fourth with 51 points. The Spartans placed 13 athletes in the top three of events on the girls side, including a first-place finish from Eleni Pappas in the 100-meter in 13.70 and three top finishes from Sydney Sventek in the 100m hurdles in 17.74, the 300m hurdles in 53.09 and the long jump, setting a new personal best in the event. Pappas also took second in the 200m in 26.7, setting a season best. Kiarra Hovis added a fourth-place finish in the 400m in 1:07.33, setting a new PR, and a fourth-place mark in the long jump. On the boys side, Sailor Starcher took third in the 800m in 2:07.44 and first in the 3,200m in 10:43.85 -- setting a new best -- while Micah Stanton took second in the 1,600m in 4:47.09. Down at the Pioneer Invitational at Pinnacle High School, Flagstaff took fourth on the girls side, 82.4, and 12th on the boys side, 24.5, while Coconino landed at seventh on the girls side, 49, and 10th on the boys, 27.5, just edging out the Eagles in the 19-team meet. Woodlyn Smith took fifth place in the girls 200m for Coconino in 27.53, setting a new season high. Flagstaff’s Melodie Albert took seventh in the same event in 28.08. Flagstaff star distance runner Hana Hall set a new personal best in the 800m, taking first in 2:23.05 -- just over a second better than second place. Her teammate on the boys side, Max Davis, landed at fourth in the 800m in 2:00.10. Hall also took first in the 1,600m in 5:08.99 -- over 15 seconds better than the next finisher. She continued her dominance of the meet with another gold finish, this time in the 3,200m, winning the event in 11:10.14 -- 45 seconds better than second place. Smith added a fourth-place finish in the 100m hurdles in 15.99, setting a new personal best. The top three of the 300m hurdles was controlled by Flagstaff and Coconino, as Smith took first in 46.16 -- a new best -- and Flagstaff’s Madeline Wilson and Allie Thurgood took second and third respectively. Wilson also took the high jump crown with a 5-foot-2-inch mark. Coconino’s Charity Saganey took first in the girls shot put and discus. Coconino boys pole vaulter Bryant Palmer took first in the event, clearing 14 feet, 3 inches for a new personal best. The No. 10 Coconino girls tennis team capped off its regular season with a road sweep of the Moon Valley Rockets in the Valley on Monday in a Division II matchup. Olivia Larson and Emma Walker won the top doubles flight 8-1, while Taylor Rhoton and Connor Garrod took an 8-0 shutout in the No. 2 spot. Hannah Goodman and Angel Begay won 8-2 in the third flight of doubles. Walker won via disqualification in the No. 1 singles flight, taking her 11th singles win of the season. Larson blanked her opponent in the first set of the No. 2 flight, 6-0, then won the second 6-1. Garrod also bageled her opponent 6-0 in the first set before taking a 6-3 win in the second set of the No. 3 flight. Rhoton got a shutout win, 6-0, 6-0 in the fourth singles flight. Angel Begay battled in the first set, winning 7-5, following up the first set win with a 6-4 second-set victory in the fifth flight. Capping off singles in the No. 6 spot, Goodman took a 6-2, 6-1 win. Coconino now waits to learn their placement in the D-II state championships.